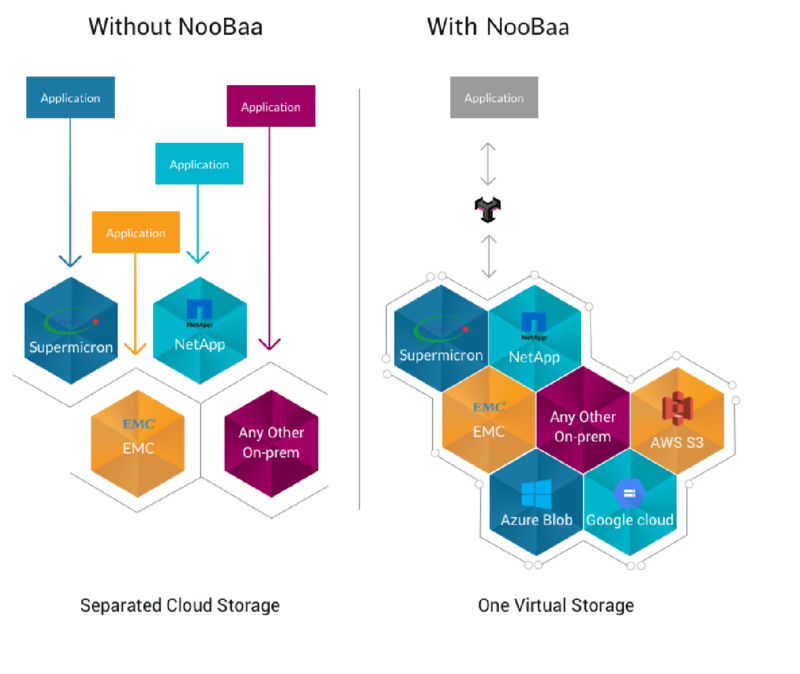 With NooBaa you can create on premises or hybrid storage that will stretch or shrink exactly like the cloud, but under your control. NooBaa lets you embrace cloud flexibility and agility in your data centers. 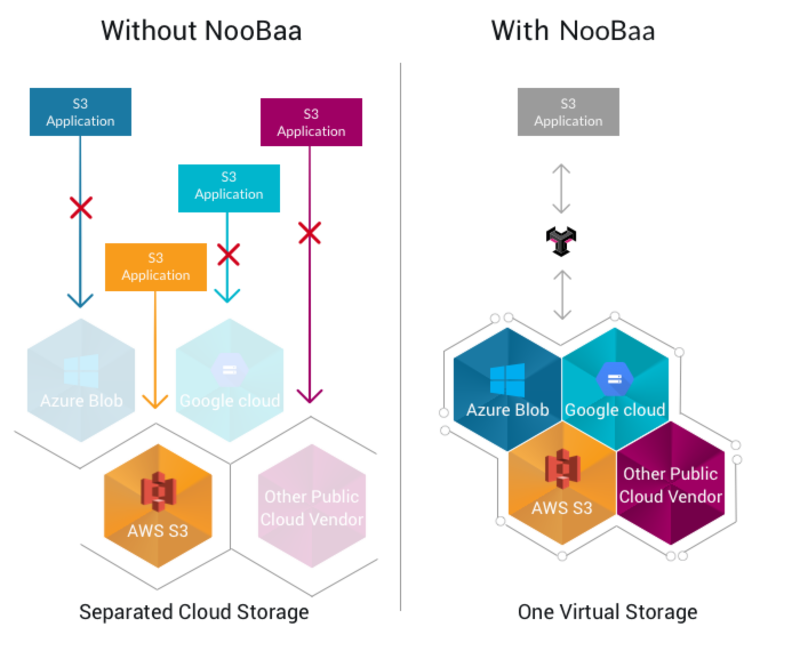 Deploying NooBaa storage in your data center will actually create a private cloud storage service that is AWS S3 compatible. This storage can become a storage target for the company's backup and archiving software. It can even become the storage target for your dev/test application. NooBaa eliminates the need to migrate data, and easily start small and scale as you need. Offer your customer a new service, tomorrow.